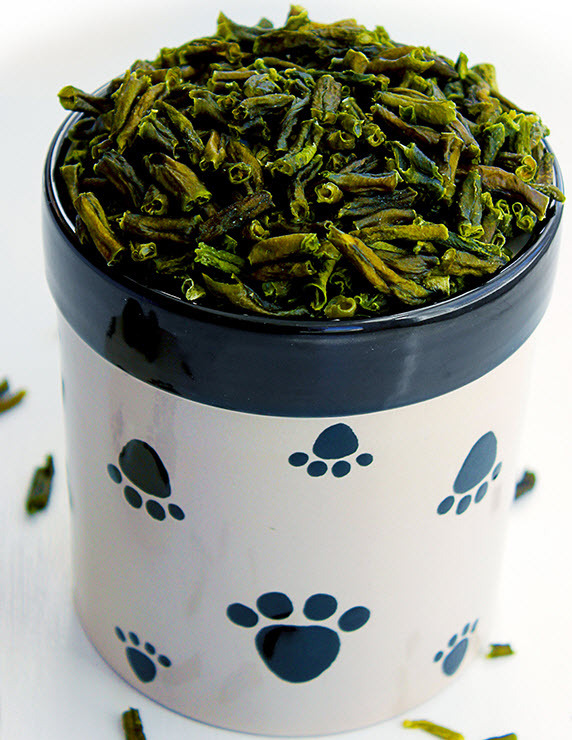 Turn green beans into a crunchy treat for your dog! Put some green beans and olive oil in a bowl or plastic bag and toss them around to cover the beans in the oil. Spread out the oiled beans on a baking sheet that is covered with baking paper. Put the beans in the oven or in a dehydrator until fully dried, then store them in an airtight container.